The COUP is bringing 600 Gogoro smart electric scooters (eScooters) to Paris this summer to launch its scooter-sharing service in the city. The service initially launched in Berlin in August of 2016 with 200 scooters, which it quickly expanded to 1,000 after capturing some initial learnings from the pilot. Based on the success in Berlin, the COUP team is taking the lessons learned there to Paris as the next destination for expansion. COUP is kicking the service off in Paris with a larger initial fleet of 600 eScooters, where it will be in direct competition with Cityscoot, which runs a similar service with 150 electric scooters. The COUP scooter-sharing service is unique in that it does not require drivers to have a motorcycle license, just a normal Class B or international driver’s license. In a similarly divergent approach, the service does not require the eScooters to be returned to a specific location. Instead, they can be parked in any dedicated two-wheel parking zone within the COUP coverage area. The app then tags the location for another rider to use if the charge is sufficient or for recharging by a COUP technician, if needed. COUP uses Gogoro electric scooters that introduce riders to electric transportation, require less maintenance, and represent sustainable transportation for riders. 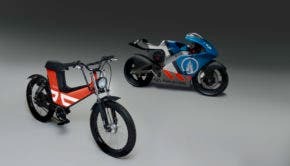 “Gogoro and Coup are focused on delivering new services that encourage consumer adoption of more sustainable transportation choices like the Smartscooter. The Coup e-scooter sharing model has been proven successful in Berlin and we are looking forward to introducing it in Paris this summer with the same success,” said co-founder and CEO of Gogoro Horace Luke of the COUP service in Berlin.